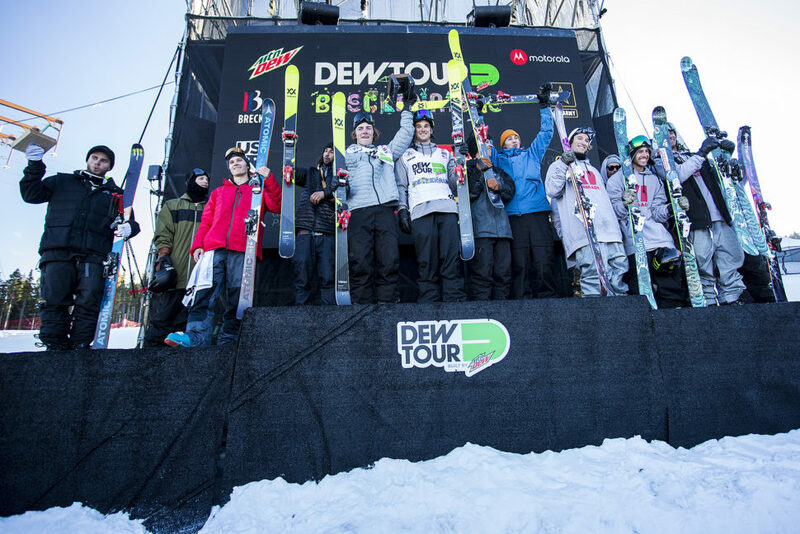 The Dew Tour went off at Breckenridge once again this past weekend and as always the who is who of skiing was around to crank up the volume for the competition season to kick of in full force. Below you’ll find all full replays from the event, just in case you missed out on any of the action or want to re-watch it once again. 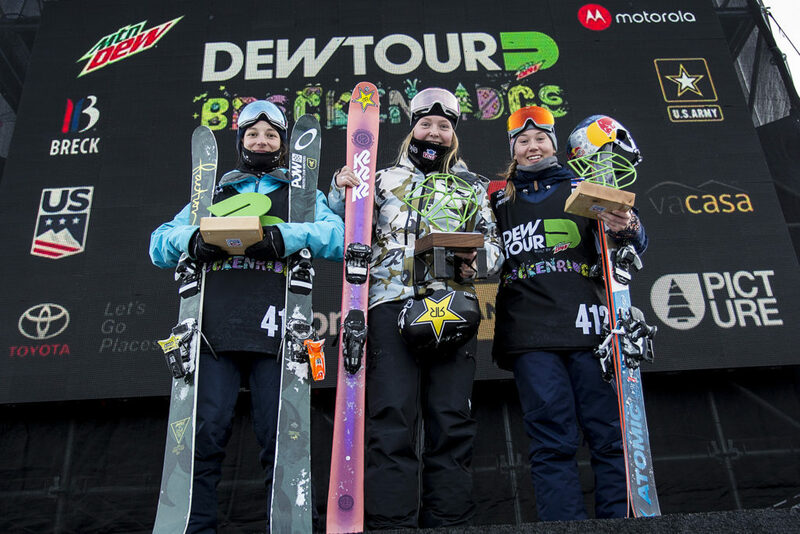 The Pipe competition kicked things off on Friday with the girls dropping in first and the boys to round out the action for the day. 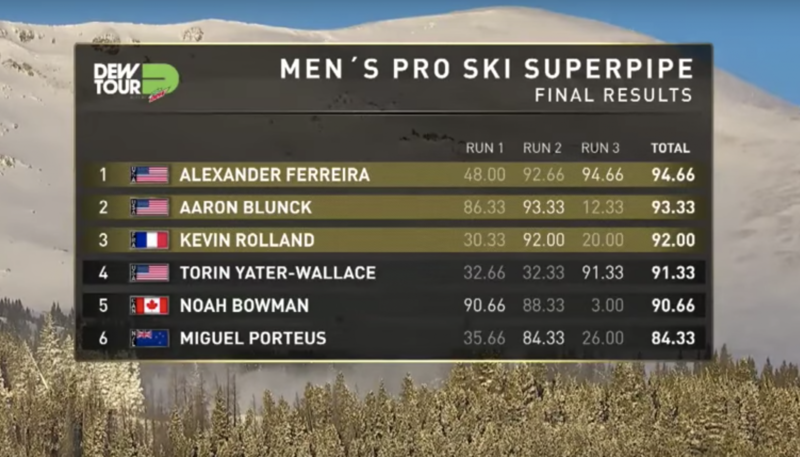 As usual, the level was insane with 2 or more doubles to be thrown in one run in order to make it all the way to the podium. 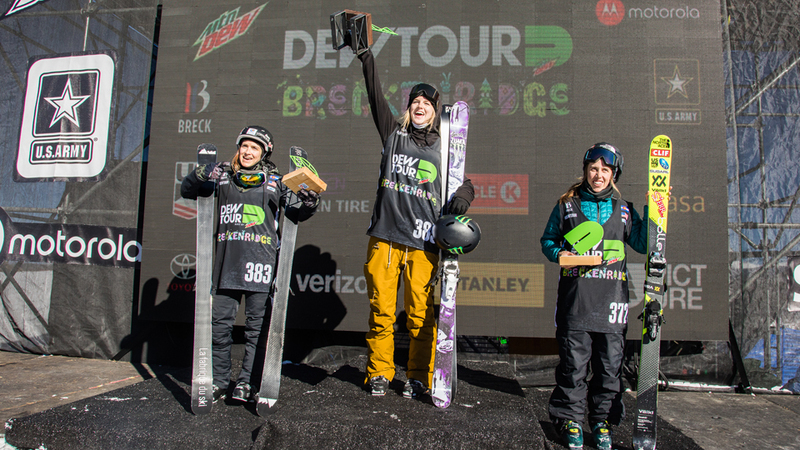 In the end, Alex Ferreira took a well deserved top spot as well as Cassie Sharp on the Women’s side under the blue skies of Breck. 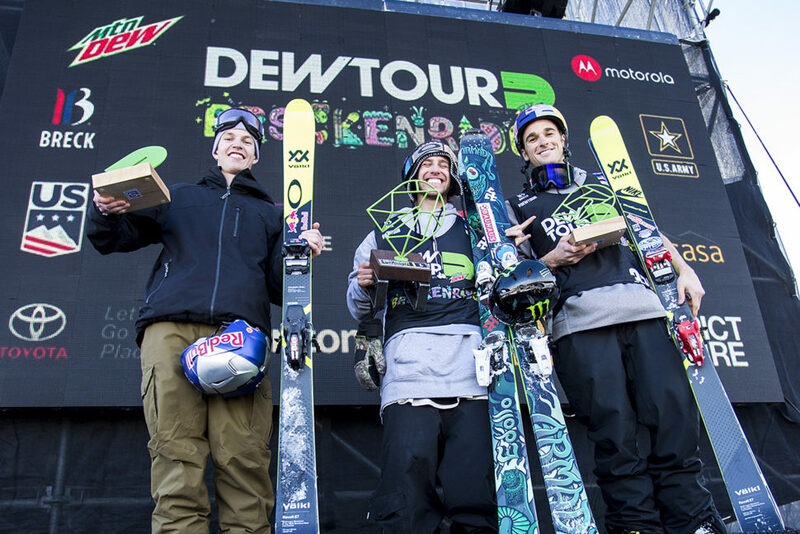 The Slopestyle final kicked off under overcast skies on Saturday. During the competition the sun and therewith the shadows in the landings came out, making the course speed up. Once again the level was sky high with almost every contenter throwing 4 doubles in their runs and an occasional triple. 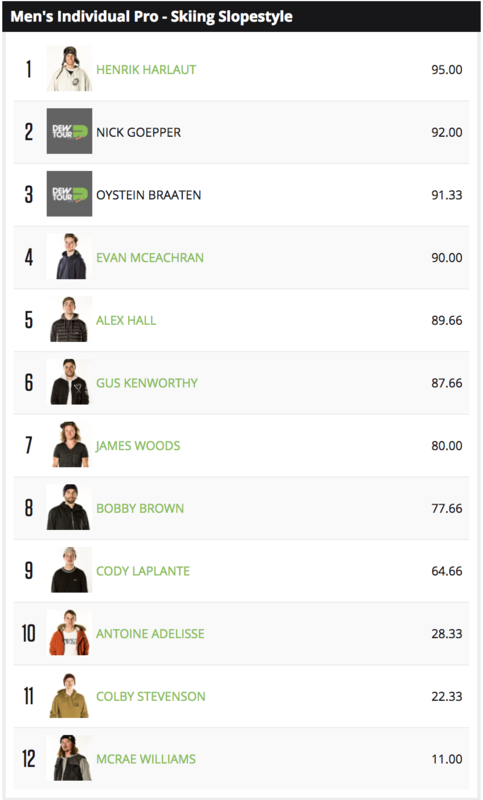 McRae, Bobby, Antoine and a couple other guys went down hard due to overshooting the jumps. Henrik Harlaut came out the gate swinging stomping 2 insane runs with insane rotations, a switch triple wooble, a huge sw right bio 9 and a double cork 1620 tindy at the very bottom jump. 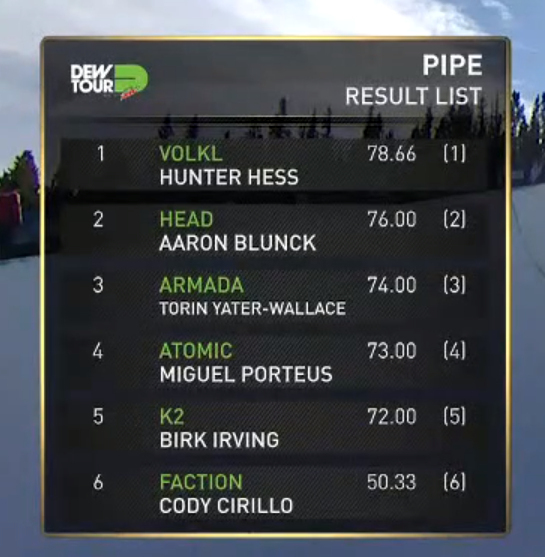 With a huge score Henrik set out to pay tribute to Jossi Wells in his 3rd and final run going switch top to bottom and busting out absolutely beautiful zero spins. The girls were on fire bringing tons of style, a huge variation of rotations, as well as plenty of left and right side spins to the table, making this Women’s competition one of the best to watch so far. 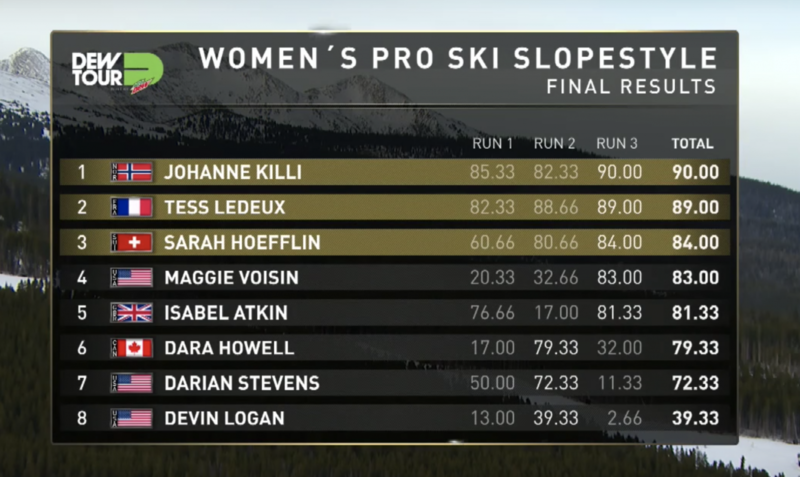 In the end, Johanne Killi took top honors with a squeaky clean run and nice grabs over France’s Tess Ledeux who put down a nice witch right side bio 7, into a sw bio 9, a bio 7 and a cork 9. 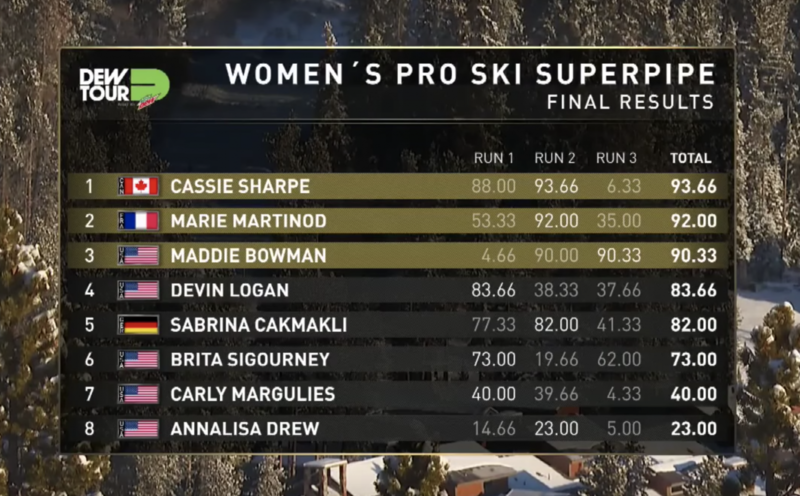 Women Skiing is lit right now and we can’t wait to see what the girls have in store for us as the season continues. Once again. 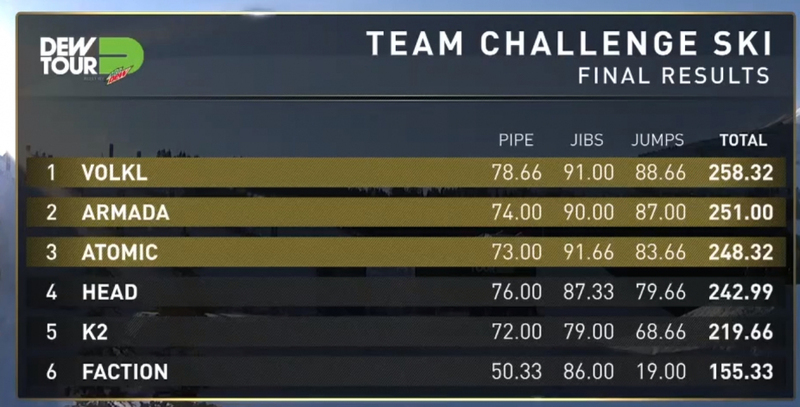 the Dew Tour brought out their team challenges mixing things up with a adapted pipe and a rail category. 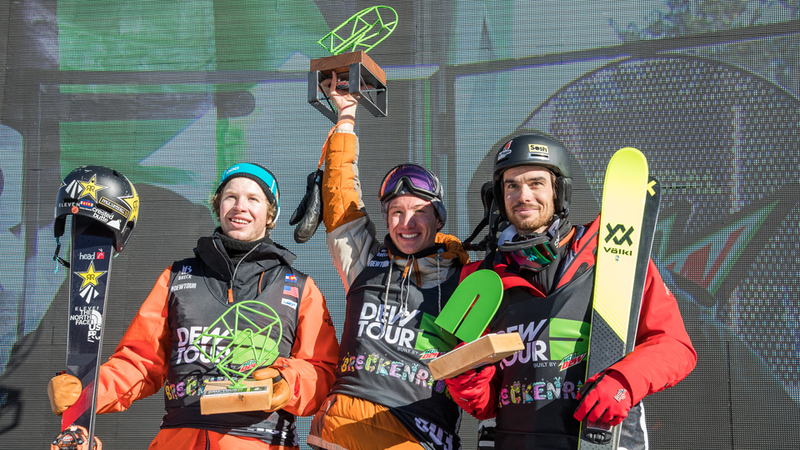 As different Ski brands choose their athletes to compete in this very unique team competition we highly recommend you to re-watch the full thing below. 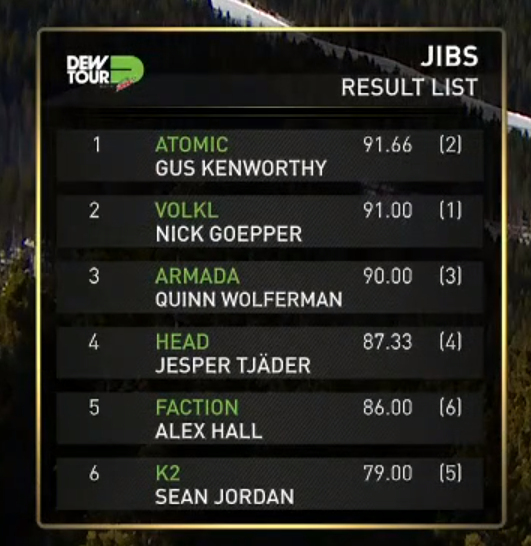 Thank you Dew Tour for mixing things up.